Sapkowski is apparently seeking additional royalties. CD Projekt has responded to a demand for payment by The Witcher’s original creator, Polish author Andrzej Sapkowski. Eurogamer reported that CD Projekt received the demand yesterday, in which lawyers acting on Sapkowski’s behalf filed a demand of payment of PLN 60m, (£12.4m/$16.1m) in additional royalties. 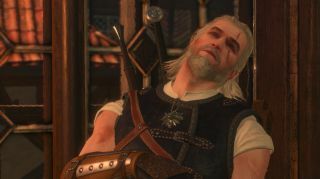 Sapkowski has previously expressed his regret that he rejected CD Projekt’s offer of a percentage of their overall profits when he sold the rights to a videogame adaptation of his work. In an interview with Eurogamer’s Robert Purchase, he explained that he demanded an up-front payment in full. “I was stupid enough to leave everything in their hands because I didn't believe in their success,” Sapkowski lamented. “But who could foresee their success? I couldn't." The document then points to Article 44 of the Act on Copyright and Related Rights, going on to state “it may be assumed that standard royalty rates associated with use of a work, particularly in adaptations, are approximately 5-15% of the profits generated.” The demand’s conclusion is that Sapkowski should be compensated with “at least” 6% of profits obtained by CD Projekt. CDProjekt posted its response above the receipt, stating. “In the Company’s opinion the demands expressed in the notice are groundless with regard to their merit as well as the stipulated amount. The Company had legitimately and legally acquired copyright to Mr. Andrzej Sapkowski’s work, i.a. insofar as is required for its use in games developed by the Company. All liabilities payable by the Company in association therewith have been properly discharged”. It appears that CD Projekt is confident in its position, given that it has responded immediately and rejected the demand outright, while also making both its own position and that of Sapkowski’s transparent for everyone to see. Nonetheless, it’s a strange twist. CD Projekt still intends to reach an "amicable resolution" on the matter. "However, any such resolution must be respectful of previously expressed intents of both parties, as well as existing contracts."